This page details all the wonderful things you can see at the festival as part of our scheduled Festival Program of speakers and demonstrations included as part of your Festival Day Pass. Enjoy! Join Andrea Mowry in an intimate discussion about her journey through disordered eating and social anxiety to a place of mental health and the craft connection. In an era dominated by fast fashion, Jane Milburn advocates for a more sustainable clothing culture. She believes in thoughtful, ethical and creative ways of dressing that don't harm people or the planet. Come along and hear Jane share her journey from rural communications to slow clothing pioneer. Come along and join Anna Farago as she explains and demonstrates how to create even stitching, how to get a rhythm, and therefore work more efficiently. She will also have other tips and tricks to share and explain. Anna will have lots of examples of quilts, samples and materials on hand to refer to during her hand-quilting demonstration. or "How I kept my Sanity, One Stitch at a Time". Come and listen to Indigo Eisner interview her mother Kate Ulman of Foxs Lane on Stage 1 and hear the intimate tale of Kate's life through stitches and knots and needles and hooks. What is botanical dyeing and how can I get started? In this 45 minute demonstration, watch and learn as Kate James from ValleyMaker shows you how this fascinating process by which colour is extracted from plants to dye yarns and fabrics. Join Leslie Keating as she demonstrates how to get started with printing on fabric what supplies you’ll need and where to find them, and how to set up a small printing space at home. Join Felicia as she chats with Colette Guanta and Lisa Piemonte of Tessuti about working with family, and their passion for creating wearable patterns for real women. This talk will be part business and part technique as we delve into their joy in helping home sewers create clothing with a beautiful finish. This panel session with Maryanne Moodie, Belinda Evans and Maggie May delves into the age old question - should one turn one's passion into one's work. The upsides, the downsides, the pain and the joy. Hear the truth from those who have chosen this path and live this life. Jane Milburn arrived at the Slow Clothing philosophy by refashioning garments in her wardrobe to provide meaning and story. Through this ‘show and tell’ session, Jane talks about simple and more complex ways to tweak or transform natural-fibre garments to extend their useful life. Ramona Barry & Rebecca Jobson are writers, curators, makers and co-authors of the Craft Companion. They have extensive experience making, teaching, talking about and facilitating craft and design practice while maintaining their own individual craft and curatorial practices. Process, creativity, ego, artistic expression, lifelong learning and a historic continuum are all examined in the lively discussion around our collective desire to make stuff. Join Tom Dennis and hear how he blends woolgrowing, tourism and farm-grown Polwarth yarn at his ancestral home, Tandwarncoort. Tom’s focus is on fostering creativity in indie wool-based design and craft; and on facilitating and supporting spaces for making, exchange of ideas and community connections. Simultaneously ancient and contemporary, weaving is an art with thousands of different traditions and applications. It is also a beautifully apt metaphor for storytelling and culture. Ilka White walks and talks us through an installation of woven treasures from all corners of the globe. The cultural context in which we make is not often one we are consciously aware of and yet deeply affects how we approach our making. Join Felicia Semple from The Craft Sessions to deconstruct our understanding of talent and creativity to enable us to make with more freedom. Tal Fitzpatrick is an artist, craftivist and community development worker based in Melbourne, Australia. Tal's PhD is on craftivism as a mode of DIY citizenship and her own practice involves taking a socially-engaged approach to appliqué quilting. Join Tal in exploring how craft can be deployed as a strategy to create concrete change within our own lives, in our communities and in society at large. Natalie Miller loves to explore the different techniques of textiles, especially in weaving and macramé. She is renown for her large scale knotting and made the biggest macrame chandelier in the world in Hong Kong Island for Chinese New Year in 2016. Join Natalie for a demonstration of the art and practice of macrame. Join Jen Beeman of Grainline to learn tips and tricks for how to successfully choose a garment size using your both own measurements as well the body and finished measurements on the pattern envelope. We’ll also discuss how to read a sewing pattern for more nuanced fitting information and learn how to use that to your advantage. Is there a road map for fostering connection and nurturing shared meaning through making? In the last 20 years Ilka White has worked with diverse communities on a range of arts projects. Join her as she reflects on the joys and pitfalls of Community commissions and Arts facilitation. In this demontration, Ophelie Lechat will take a pair of sharp scissors to a hand-knit colourwork sweater. Has she wasted the 200 hours she spent knitting this intricate jumper? No: in 45 minutes she will transform her knit-in-the-round pullover into a neat cardigan. What is behind process, or making? What can a slow process offer us? In this talk, artist and maker Kate James will tease out some ideas about repetition, connection, technique and why she chooses labour-intensive processes to make her art and craft. What is a Fibreshed? If you like buying local organic food, then Fibreshed is about buying local, low impact textiles. Join Nicki Colls to hear about Fibreshed's journey to reviving local clothing manufacture in the US, the challenge of making clothing locally in Australia and how you can be a part of making it happen. Dropped stitch, decrease in the wrong place? About to rip the needles out and “frog” the lot … stop, your mistake might be easy to fix on the needles. Not all errors need to prove fatal to your lovely knitting project. Join Georgie Nicolson who will talk you through the skills you need to fix some of the most common mistakes we make as knitters. Everyone's story is different. How does one start in a place of knowing nothing to running a successful business following their passion. Join Jen Beeman as she outlines her long journey from learning to sew to what Grainline Studio is today. The fashion industry is a major player in global air and water pollution, and that’s just the tip of the unethical iceberg. Courtney Holm founded A.BCH in 2017, a designer basics label that focuses on making ethical decisions around materials. Join Courtney as she talks about the trials and tribulations of sourcing fabric and materials sustainably. 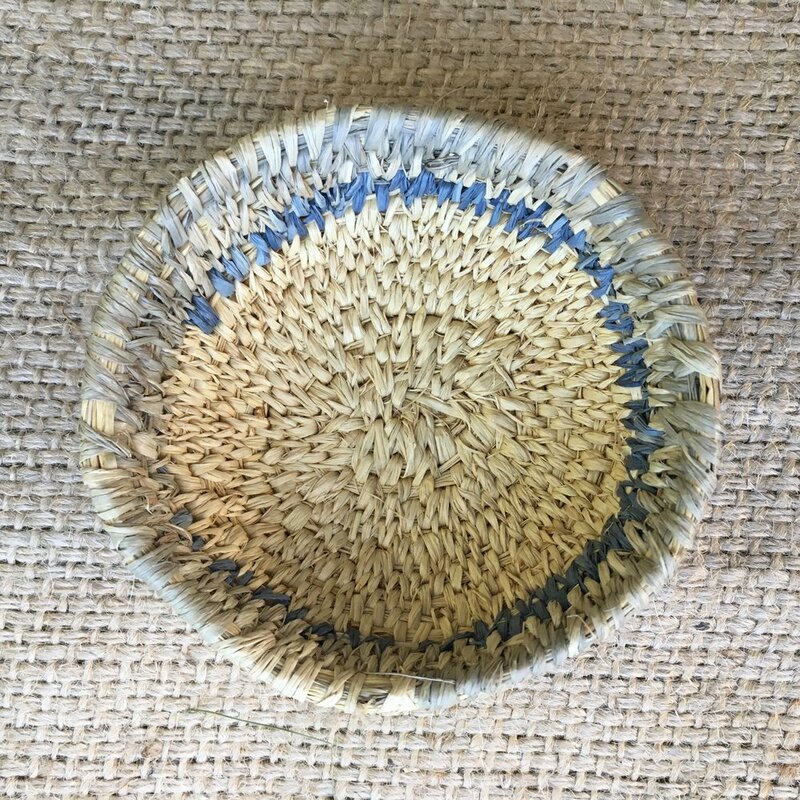 Basket making is an ancient craft practiced throughout the world and Ruth Woods has loved exploring it for many years, teaching basket making around Australia. In this talk Ruth will show many kinds of baskets, with a focus on baskets made from textile scraps. We think her random-fibre baskets are beautiful and know you will too. Melissa Wastney makes all the time and then gives almost everything away. Join her as she talks about why parting from her work is an important part of the creative process. Having materials at hand is a part of most people's making practice, inspiring us and allowing us to make at a moments notice. Yet often the stash gets overwhelming, feeling more like a burden than a gift. Back in 2013 Felicia Semple began looking at the her stash with fresh eyes. What she discovered has turned into the ongoing practice of stash less. Heather Thomas takes the mystery out of the domestic knitting machine as she shares her experience of creating fabric with this tool. Demonstrations of techniques will be shown, including methods of combining machine and hand knitting in complimentary ways. Dye, knot, and weave your way to gorgeous textile crafts—from delicate macramé to eye-catching weavings, from sophisticated shibori to fibers dyed with all the colors of the natural rainbow. Join artist Natalie Miller to talk about the release of her gorgeous new book Woven Color. The book includes inspirational images of Natalie’s studio and travels, and is sure to get your creative juices flowing. Join Lauren Champs, Roz Slade and Helen Duckham for this panel discussion of very different makers talking about what it looks like to create a sustainable wardrobe. How do individual crafters approach it, and what does sustainable even mean? This discussion will be practical and theoretical with time for questions at the end. Come see the journey of raw wool fleece - which was locally shorn and is still in all it's greasy glory - be respectfully crafted into knitting, weaving or crocheting yarn. Join Janet Day as she spins wool from raw fleece and other luxury fibres. A homage to the traditions of the past with a modern day flavour, Janet will show you that your unique yarn might only be a few twists away! Join Felicia Semple, Martine Lynch and Belinda Evans for this panel discussion on all the ways craft changes us over time. What we learn about ourselves and others through our ongoing making is one of the most beautiful parts of our practice and in this talk we really dig in to what that can look like in our individual lives. Lyn Stephenson is the president of Hemp Victoria and runs a 32-hectare farm, growing about three hectares of hemp. She is passionate about the potential hemp has, and is coming to talk about what the hemp industry in Australia looks like past and future. Join artist Elizabeth Barnett as she talks about her art training and her personal creative influences. Elizabeth will show you some of the work she makes, the materials she uses and the sketchbooks that form the basis of her larger work. or otherwise titled as “Enjoy Knitting While You Can, Once Baby Comes You Won’t Have Time For That Anymore…” Join Andrea Mowry as she talks about her journey to starting my business/designing knitwear and the motherhood/craft/work balance. Warning - this session will involve a lot of squishing! Come along to feel samples of different local fibers, how to access them and how to make informed decisions when buying raw materials. Join Fibreshed Melbourne founder Rachel Bucknall as she imparts practical advice on how to craft in a low impact way. Blocking is the final step of any handknit project, settling the stitches into shape and revealing a yarn’s true nature. In this demonstration, Ophelie Lechat will block a freshly-knit lace shawl into its final shape using blocking wires, and show how blocking techniques can be used at home.